For over 25 years, EP Morris and Company has provided the industry with an ever increasing range of tools and services to manage its business processes more effectively, supporting compliance, revenue control and the maximisation of profitability. Bus and Coach Buyer’s David Cole recently visited the company’s headquarters in the North Worcestershire countryside to meet the team and find out more about the services and systems on offer. When privatisation of the National Bus Company (NBC) operating companies began in the mid 1980s, Edward Morris was Group Internal Auditor for NBC based in Birmingham. He recognised that, at least in the medium term until the industry reconsolidated, there would be a need from the newly independent companies for professional auditors with industry experience. 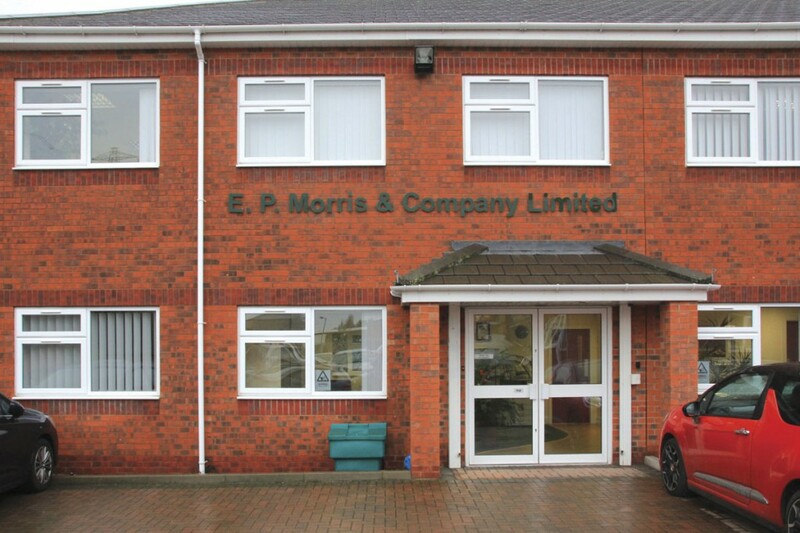 Engaging previous members of his team, Edward launched EP Morris and Company Limited (EPM) on 1 April 1987. The company was initially based in offices rented from Carlyle Works Limited in Edgbaston, Birmingham, itself privatised from NBC a few weeks previously. Five years later Carlyle Works closed and new premises were sought urgently as the demolition men moved in to reclaim the Carlyle site for housing. The company initially moved to Freeth Street, an industrial area on the other side of Edgbaston reservoir from Carlyle Works before forsaking Birmingham for the canalside Harris Business Park in the countryside south of Bromsgrove. 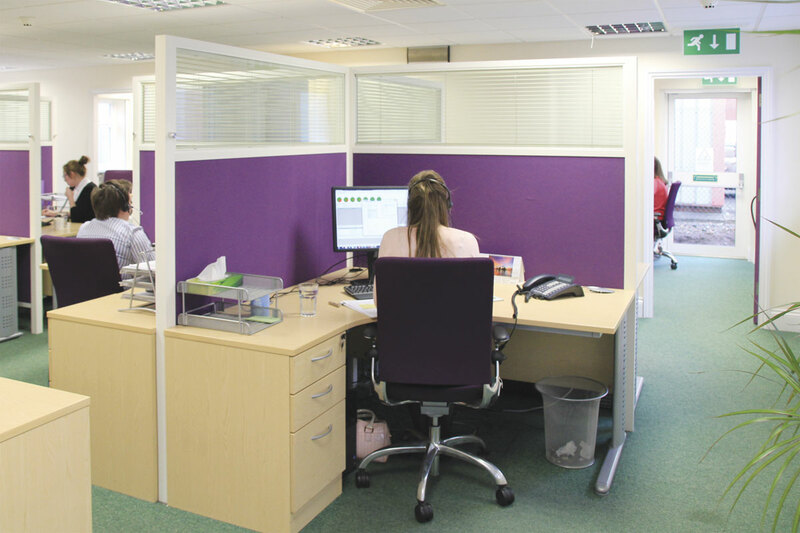 Within five years, the company had outgrown their first unit on the business park and were able to arrange the completion of a new double unit already in build to meet their specific requirements and allow space for expansion. Since moving in around six years ago, the growth in the services offered has already required an extension to the premises to accommodate the 35 staff now employed. 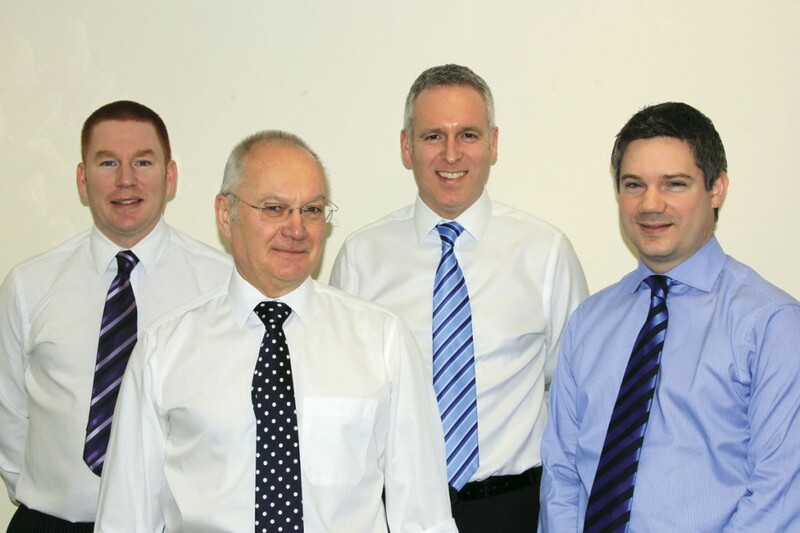 Managing Director, Edward Morris, a Chartered Accountant, has a team of four directors, all professionally qualified and experienced in the public transport field. Senior Director, Matthew Hanlon, leads a team of twelve in the complex field of BSOG, Phil Lashford heads up the concessionary fares and operational audit teams with Nick Brookes responsible for IT based services and Jacky Powell in charge of administration. 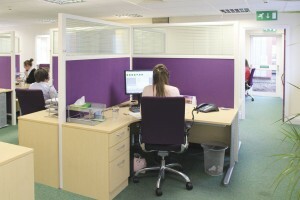 The company places emphasis on the development of staff, most of whom are graduates, to achieve professional status and promotion within the company. The ACCA recognises the professional ethos and has awarded Gold Approved Employer status for trainee development. With the growth in modern communications networks and systems for data capture, much of the audit and analysis work can now be undertaken remotely rather than at operators’ premises meaning there is always a widely experienced team in the office to support customers. New starters usually join the BSOG team where they gain a good grounding in bus industry operations. EPM provides services to the full spectrum of PCV operators, from the five largest plcs down to small Section 19/22 organisations. 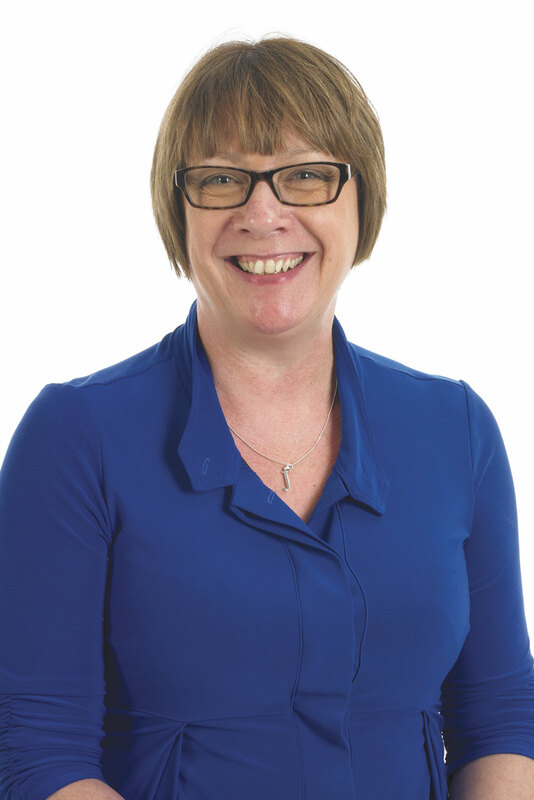 With the growing complexity in returns, particularly for BSOG, introduced by the DfT, smaller operators are turning more to specialist support to compile and sign off their returns. EPM have also noted an increasing nervousness of High Street Audit firms in signing off BSOG returns. Some work is also carried out for local authorities and ITAs/PTEs including the provision of ETM DAS (Electronic Ticket Machine Data Analysis Software). Developed over the past 25 years in conjunction with operators and authorities, this enables some 20 authorities and their advisers to share data with over 100 operators to verify contract performance and concessionary patronage. This promotes best practice in both performance and payment. Whilst the industry has welcomed the retention of BSOG, its calculation and certification has grown significantly in complexity through detail changes on a regular basis. In England, by 1 April 2014, there will have been twelve changes introduced on six dates over four years with alternative changes in Scotland and Wales. The latest 2014 changes for England will require fundamental changes to the data requirements, particularly where tendered mileage and Better Bus Areas (BBAs) are involved. 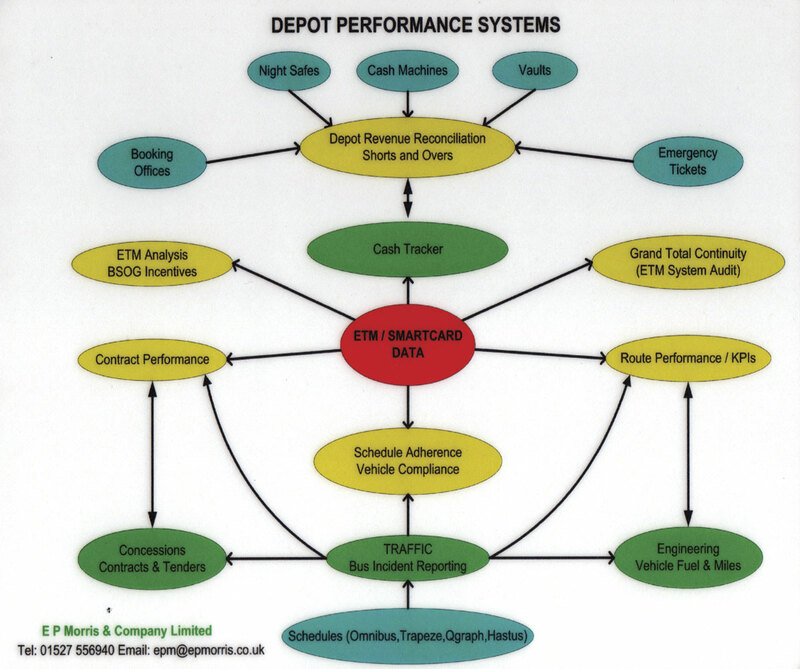 EPM take a practical approach to the BSOG calculation starting with a reconciliation of fuel purchases and issues, identifying potential leakage, fraud, theft or incorrectly calibrated equipment. Vehicle kms are analysed from operation systems and vehicle records, noting the potential for inaccuracy in vehicle odometers. From this accurate fuel consumption figures can be derived. Not only do these support the BSOG calculation but they also verify the benefits of better driving schemes such as Greenroad. Calculating BSOG eligible kms requires the km data to be categorised according to the type of work undertaken and increasingly, the area to which it applies. All of this adds complexity although DfT have recently announced a minor simplification in treating De Minimis supported kms as commercial. For larger clients, EPM complete a monthly audit for BSOG purposes. This enables any issues to be resolved quickly supporting a timely calculation and certification of the annual return. For smaller operators, EPM provide full pre-certification guidance notes before auditing the data. This results in more complete data being available to support the claim and satisfy the DfT’s audit requirements. Increasing the complexity of the BSOG means the current six page return will be replaced by a much larger document in the coming months, enough subject material for a future article in itself! Getting the right reimbursement for concessionary fares is a challenge for both operators and local authorities. EPM provide a range of services to support operators in achieving the right level of reimbursement through the DfT calculator, including the preparation of data for an operator to successfully challenge a local authority or go to DfT appeal. Key issues include ensuring the average fare remains on a like for like basis and assessing the impact of the introduction of off-bus ticketing systems. EPM also support operators in achieving reimbursement of marginal capacity costs where these may have been previously refused by the local authority. The industry’s traditional audit services requirements have changed in recent years with much routine audit activity now undertaken directly, particularly within the plcs. EPM are, however, often called in to provide audit expertise on more complex or challenging issues across any aspect of an operators business, either remotely or at the operator’s premises. The company also provided support to a number of operators in submitting data to the Competition Commission enquiry. EPM was an early entrant to the field of depot based systems, initially in conjunction with other companies formed from the sell off of NBC. 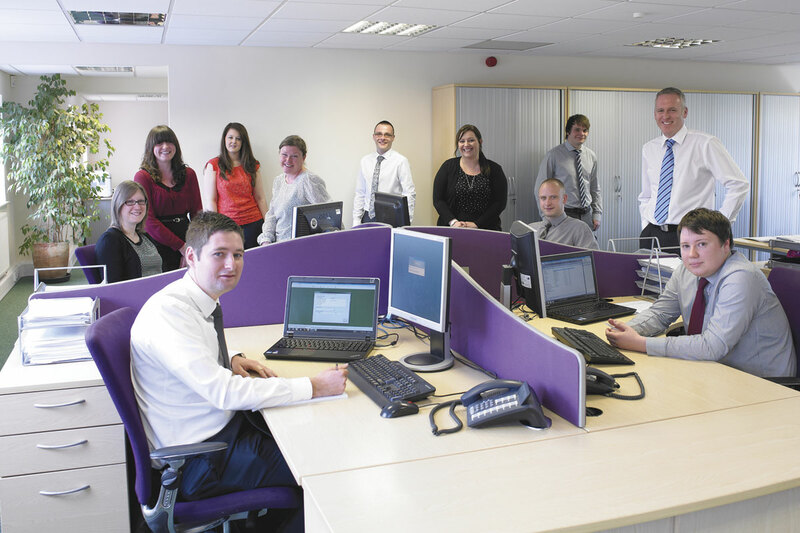 Work was subsequently brought in house and Nick Brookes’ team now develop, support and host EPM’s suite of systems. 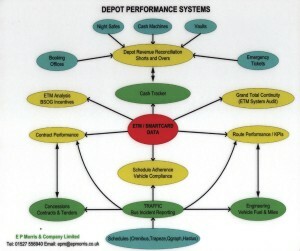 The Depot Performance System, developed in conjunction with a major operator, is a dynamic environment continually updated to effectively manage data from electronic ticket machines. The Traffic package interfaces with the major scheduling software systems to support performance and incident reporting as well as its key role of producing both estimated and actual data for BSOG claims. Meeting customer requirements for systems which interface to cover all aspects of PCV operation, EPM also offer modular systems for engineering, designed with VOSA in mind, passenger satisfaction monitoring, concessionary fare reimbursement and cash management (shorts and overs). All the systems are supported by a competent team who have gained experience across the EPM business, in addition to their IT skills, and thus understand what operators are trying to achieve with them. The systems are available with support packages ensuring operators always have updates for the most recent legislation changes and they be can be hosted for the operator on EPM’s secure servers offering web based browser access. Audit services have changed significantly since the days of physically inspecting ticket machines for mechanical interference, an issue remembered with a small selection of Almex machines displayed in the boardroom. EPM now provide a wide range of services and systems which help the operator achieve both compliance and maximised returns from their business. The company continuously updates its offering to reflect business and legislative directions with attention currently focused on the impact of smart card and mobile ticketing.